Looking for something to quench your thirst and wet your whistle? Located upstairs, inside the Paso Robles Inn, is the historic Cattlemen's Lounge. Come up and enjoy some local flavor and historic culture. Featuring a full bar, a happy hour Monday through Friday from 3:00 pm - 6:00 pm, and four television screens, our Paso Robles lounge is the perfect setting to learn about the city's history and experience its culture first hand. 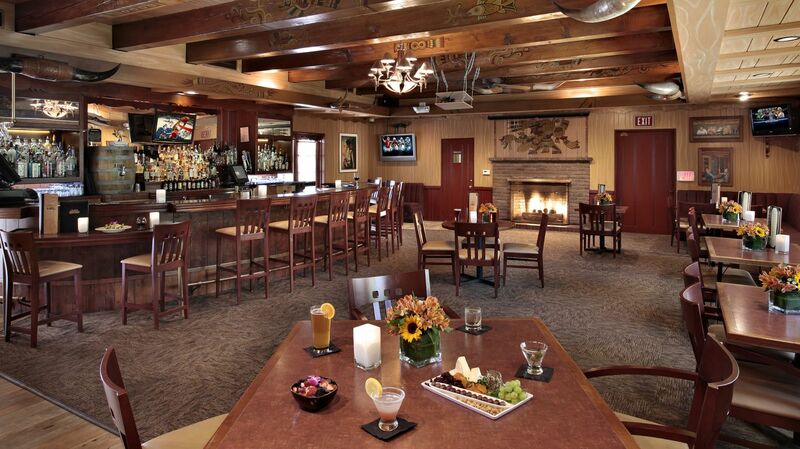 In the meantime, tempt your tastebuds by looking over our Bar Menu or check out Cattlemen's Lounge on Yelp. Monday – Thursday: 2:00 p.m. – 10:00 p.m.
Friday – Saturday: 12:00 p.m. – 12:00 a.m. Happy Hour: Monday – Friday 3:00 p.m. – 6:00 p.m.
Monday: Industry Night 5-10pm: Show your business card and receive 20% off entire bill. Our signature drinks are all based on the history of the Inn. With names like Barbary Coast, Marilyn's Kiss, and The Dirty James, each one comes with its own recipe and story. Our mixologist developed these drinks that would help tell the story of the Inn's rich history. It's just one more way to share the stories of some of the characters that have played a role in making this hotel historic over the years. 1868 – Two infamous outlaws, Frank and Jesse James, were busy robbing trains and getting themselves on the “Most Wanted” list. Then Jesse got shot and his lung wasn’t healing properly. In the spring of 1868, the duo headed to California to “cool off” and give Jesse a chance to heal. Frank made the overland journey by train and stage. Jesse, too weak for the overland journey, took a steam around the horn to San Francisco, and then traveled by stage to San Luis Obispo County where they sought refuge with their uncle. The hot springs in Paso Robles helped Jesse heal from his gunshot wounds and he and his brother were soon restless. The very next summer, their uncle bought them steamship tickets back to New York after they had worn out their welcome. Other drinks include a nod to the hotel’s founders, a ghost, Marilyn Monroe, John Wayne, and a famous pianist, all characters in the long history of the Inn.